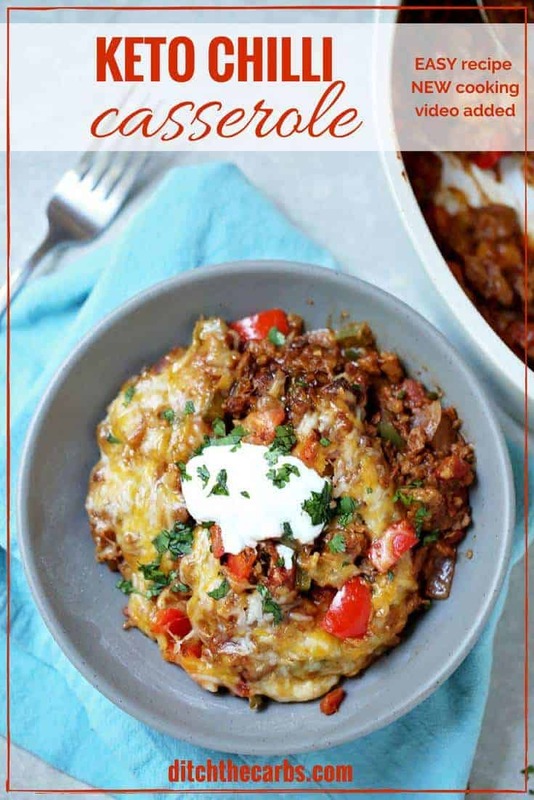 My kids love easy keto chilli casserole. It’s a mid-week winter family favourite. Scroll down and watch the quick cooking video. You won’t believe how easy it is to make for dinner tonight and it’s only 7g net carbs per serving. We love chilli but without the kidney beans and the rice, how can you make it low-carb and a family friendly meal? By bumping up the meat, the cheese, the sour cream and the peppers, makes this tasty and healthy alternative to regular chilli. I sometimes serve it with cauliflower rice, and I spice this healthy rice alternative with some extra chilli, coriander (cilantro) and cumin, just before serving. Because no-one wants bland rice do they? Let alone bland cauliflower rice. That would just be too much to ask from your children. Whenever I have the oven on cooking a dish, I always throw something else in to be economical with my power usage. It also helps me to be organised for the week ahead of lunch boxes. 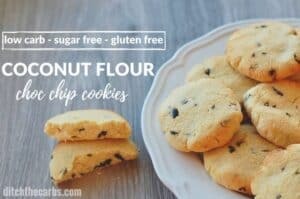 Why not try my coconut flour chocolate chip cookies? 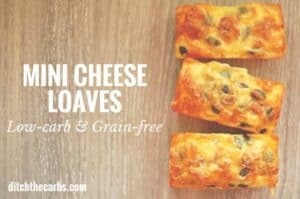 Or my mini cheese loaves? Both are guaranteed to be eaten by the fussiest child (and adult) for lunch or an after-school snack. 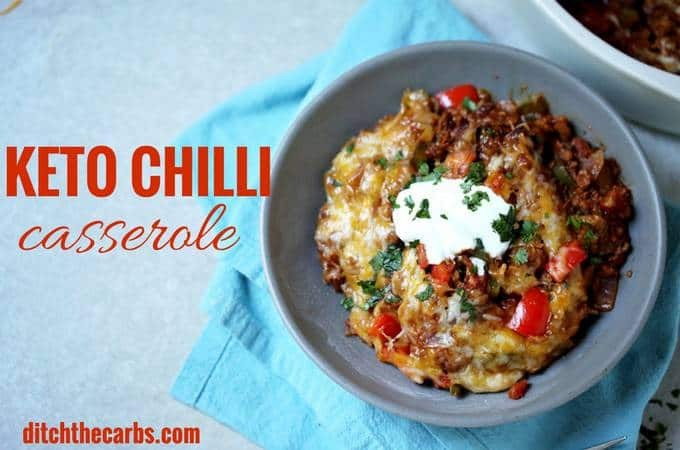 Easy keto chilli casserole is a firm family favourite. Serve it by itself in bowls, with plenty of shredded/grated cheese and sour cream. Or why not accompany it with spiced chilli cauliflower rice? A tasty low-carb side dish. Fry the onion and garlic until soft, add the mince/ground beef and cook until all the meat has browned. Add the peppers/capsicums and cook until soft. Add all the other ingredients, stir and cook for a few minutes (the beef is already cooked) then pour into a baking dish. Sprinkle the shredded/grated cheese over and cook at 180C/350F for 20 minutes. Spoon into individual serving bowls. Garnish with sour cream and a sprinkle of coriander. Hi Libby – I love your recipes and website! 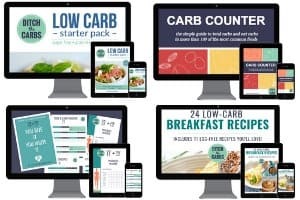 I just wondered if you could answer a question about total versus net carbs – I always count total carbs, or so I thought! But I just watched a video by Dr Westman and apparently on New Zealand labels the ‘Total’ carbs is actually net carbs! So would I need to add the fibre back in to get the true total carbs? I’m confused because I don’t think you label yours like that? Eg. on the above recipe the total carbs really is total carbs, right? You are correct, NZ and AUS labels tend to show net carbs and the fibre is stated separately. US labels show total carbs, and I also show total carbs here on the website then it is up to each reader whether they count total or net. Be aware though, many foods are imported from other countries which use a different system and many apps have “user added” entries and so net/total is not consistent there either. A general rule of thumb, if it seems to good to be true, it probably is. If you miss beans, check out the nutritional info of black soy beans! They have a fraction of the carbs! Does the nutritional info include the sour cream? No because how much sour cream you add is completely a personal choice. I have seen how much sour cream some readers add to their chilli casserole recipe and Lordy Lordy, it is completely different to how much I would add. For what it is worth… Does anyone proof read any longer, or use spell check?? I couldn’t find any spelling/grammar errors either! Excellent recipe, I like to spoon my chilli on top of a bed of shredded lettuce and then top with the cheese and sour cream. Delish!! Do you think this could be adapted for the intant pot? So that I could saute and slow cook all in one pot? Not sure how long to cook for. Yes, this would work in the Instant Pot. I have only just got my Instant Pot so am still developing recipes so can’t give you an accurate time. But I have begun a new recipe finder for Instant Pot and Slow Cooker recipes here. Thank you! I just got mine as well and love it! Thank you, this was so great. This is delicious! It makes enough for two for two nights and is even more flavoursome the second night. Definitely one to repeat over and over! If you wanted a more fried chicken taste to the sesame chicken you could spray the chicken with oil before baking. I do that with my friends and onion rings. This is amazing…an easy but delicious meal that I can make and take as lunch for a week. Next time I will be doubling the recipe. thanks! YAY – what a result! Yummmmm, avocado makes everything taste good. Have you tried my Fat Head nachos yet? Another super recipe from you. Just had my third for dinner, I used 600g of mince and everything else the same. 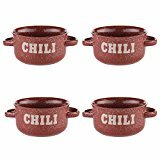 I think I need more chilli!! This recipe is to die for!! I made exactly to the recipe and boy it has a chilli kick, that good you don’t even miss the kidney beans. I served this on a bed of crunchy cabbage. My husband had left overs 2 days later and it was even better he tells me. Is the nutritional value for the total batch or per serving (I finally found servings is 4). This recipe is the bomb!!!! Will definitely be preparing this over and over again. Might even sub chicken from time to time. Sure thing! I buy a lot of canned tomatoes because they are so much cheaper than fresh, but fresh would taste amazing. Go for it! I made this tonight, actually doubled the recipe so I have left-overs or maybe tomorrow night’s dinner! I will definitely be making this again, a little spicy and tasty with the sour cream. Wow, this really is becoming a family favourite recipe here, so soon after it was published – hurrah!! There recipe states serves 4, so 1/4 of the recipe per person. Some people may wish to eat less or serve with a side salad.